Invacare Pronto M51 power wheelchair w/rehab seating, 18" x 16". Original price approx $6,000, never used. 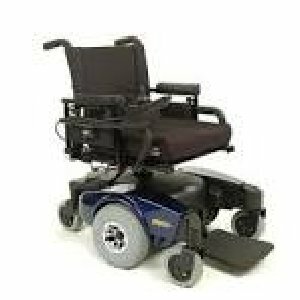 Includes sectional rear uprights, adj height armrests, flip up footboard, single density cushion, push button seatbelt, flat free tires, and right side joystick.Color blue. All original manuals.